Following significant investment and redevelopment by Guernsey Water, Juas Water Treatment Works (WTW) is now online, supplying water that is safe and good to drink, to islanders in the northern zone of Guernsey Water's drinking water network. In July 2017, Guernsey Water announced that, as part of its new water treatment strategy it was bringing the facility back into operation, to replace the treatment works at Longue Hougue Reservoir. The strategy is estimated to bring a saving of £10million pounds over the next 25 years. Steve Langlois, Guernsey Water's general manager said the new water treatment strategy would reduce costs significantly. "The savings are thanks to the greater operational efficiency and ease of maintenance of traditional gravity sand filters in comparison to membrane filtration, currently in operation at Longue Hougue." Juas WTW will be one of three active Works on the island following the decommissioning of Longue Hougue. Together with Kings Mills and St Saviour's WTW the organisation will be able to meet peak consumption demand, also allowing for planned or emergency shutdowns. On average, islanders consume 12½ million litres of water a day. Juas is designed to supply up to 10 million litres a day at maximum output. The work at Juas has taken 20 months to complete and has mostly been carried out by Guernsey Water's own production team, some having been through apprenticeships with the utility. During this time all sections of the site have been fully refurbished and brought up to meet the latest standards, including the installation of a UV disinfection system. Thanks to these changes, Juas WTW is expected to improve water quality for islanders in the northern zone. The Juas site was purchased in 1933 by the then States of Guernsey Water Board, having previously been relied on in times of drought. The original treatment works was decommissioned in 2013, after 37 years' operation. It is Guernsey Water's third largest storage reservoir, after St Saviour's and Longue Hougue, and has the capability to draw water from more than one source. This ensures greater resilience to the ongoing, uninterrupted, provision of treated water. "Although the project has taken a little longer than we originally expected we are pleased to report that it has come below the £1.8 million budgeted," said Mr Langlois. 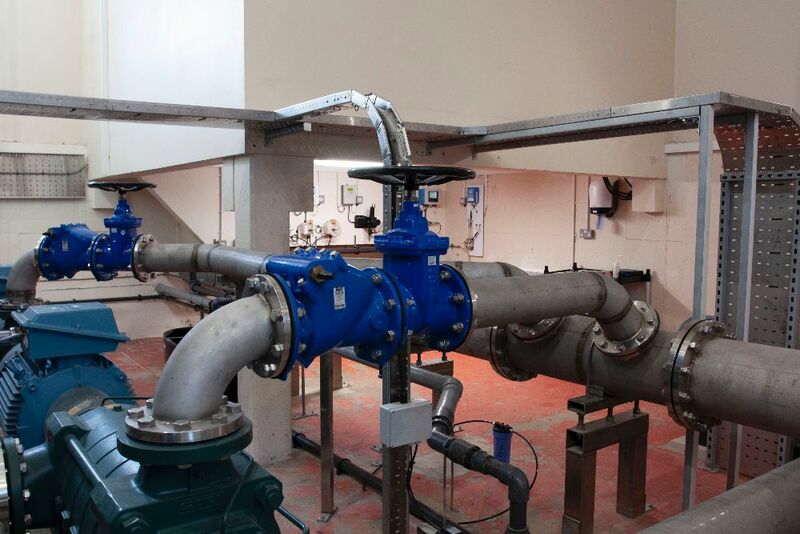 The treatment works at Longue Hougue will now be decommissioned over the next six months, although the reservoir (the largest on the island) will continue to be a valuable raw water storage facility.